How to Empty a Swimming Pool. When cool weather rolls around, it's time to put away the pool toys and drain the swimming pool. 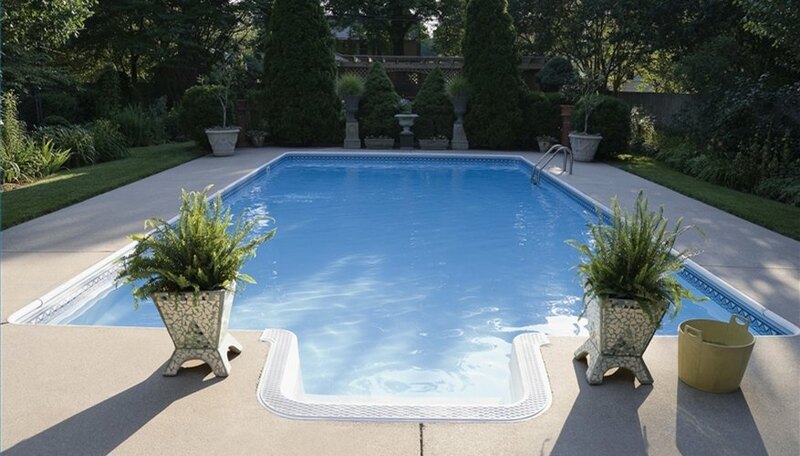 Here are directions for emptying both aboveground and sunken pools. Stop adding chemicals to the pool water. Wait half a week. Place the intake hose in the pool and the outlet hose in the center of the lawn. Plug in and turn on the pump, priming per the manufacturer's recommendations. Run until lawn is soggy. Turn off pump and wait until water has seeped into lawn. Stop adding chemicals to the water. Wait half a week. For highly chlorinated pools, wait longer or check the pH before draining. Find the drain line in the filter pump. It should be located near the pump motor. Attach a long hose to the drain line. Run the other end of the hose to a lawn or trees. Run the pump until the lawn appears nearly sodden. Turn off pump. Repeat until pool is empty. If a lawn or tree-lined area is not available, check with your local sewage agency before running large amounts of water into the gutters. It may be illegal.